In the last Article I talked about the GE Megahackathon. 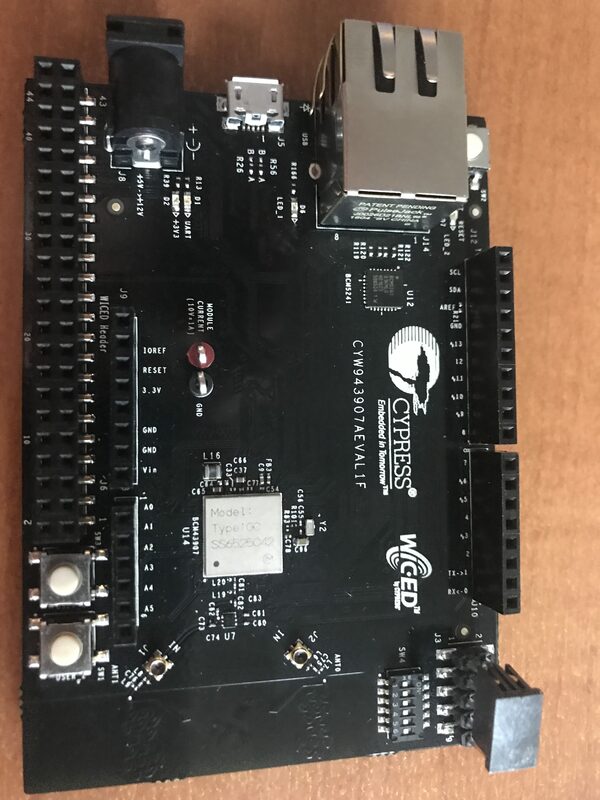 One of the groups at the event got interested in using a CY3280 MBR3 to send signals via a WICED CYW943907 to the Particle IO server which was connected to a Particle Photon. I helped them with the implementation and thought that it would be useful to show here. 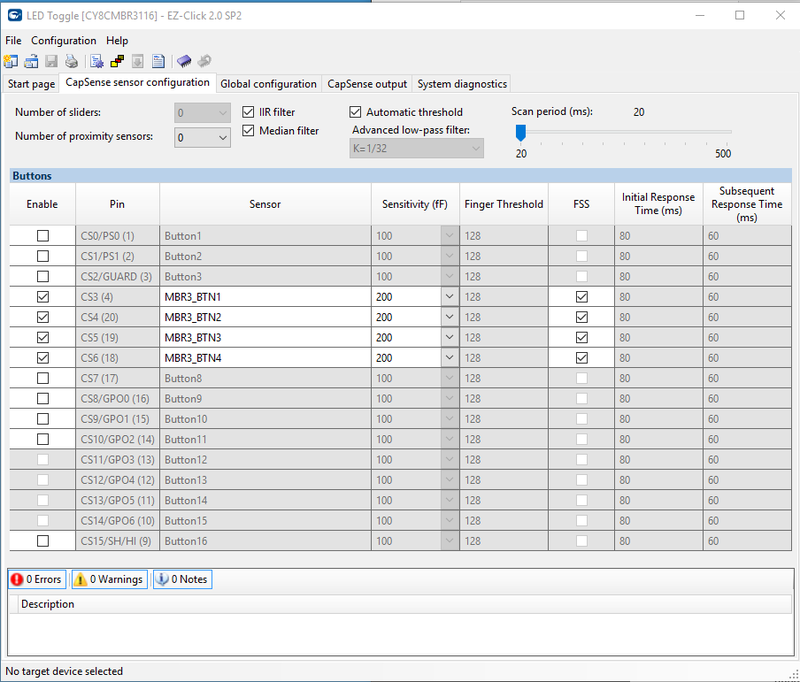 The CY3280 MBR development kit is a CapSense demonstration kit that shows the Mechanical Button Replacement 3 chip. It features 4 CapSense buttons with LEDs, a proximity sensor, and a buzzer. 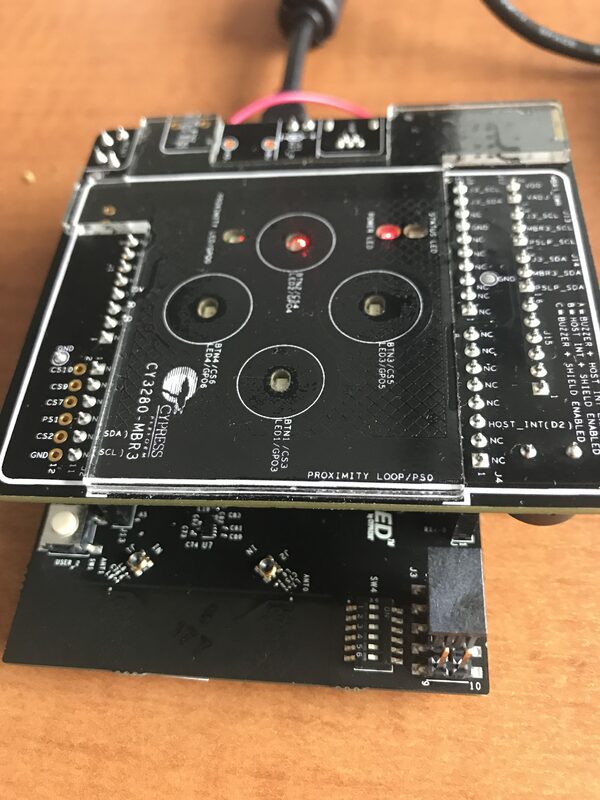 It is connected to another MCU via the Arduino pins. of the WICED CYW943907. 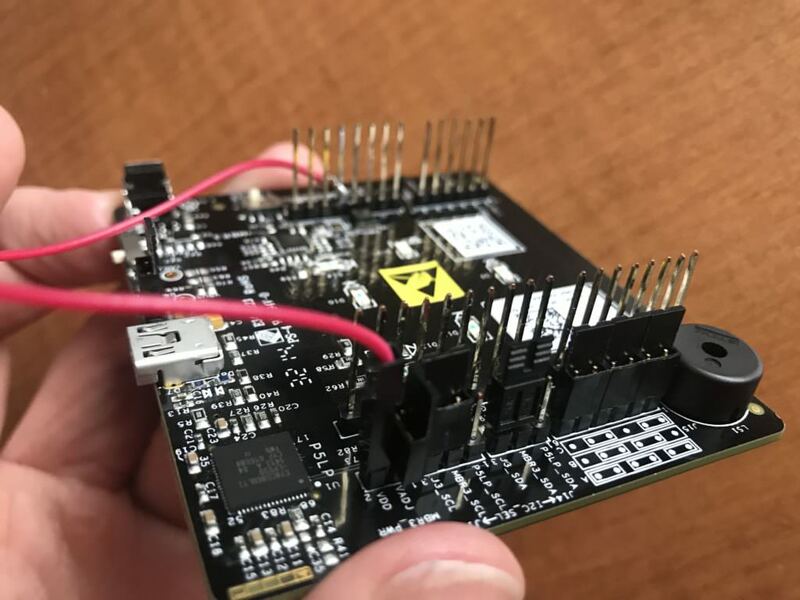 The device sits on the I2C bus and acts as an I2C Slave. You configure it using EZ Click. The Flanking Sensor rejection which makes it so that you can only press one button at a time. All of the automatic tuning features. 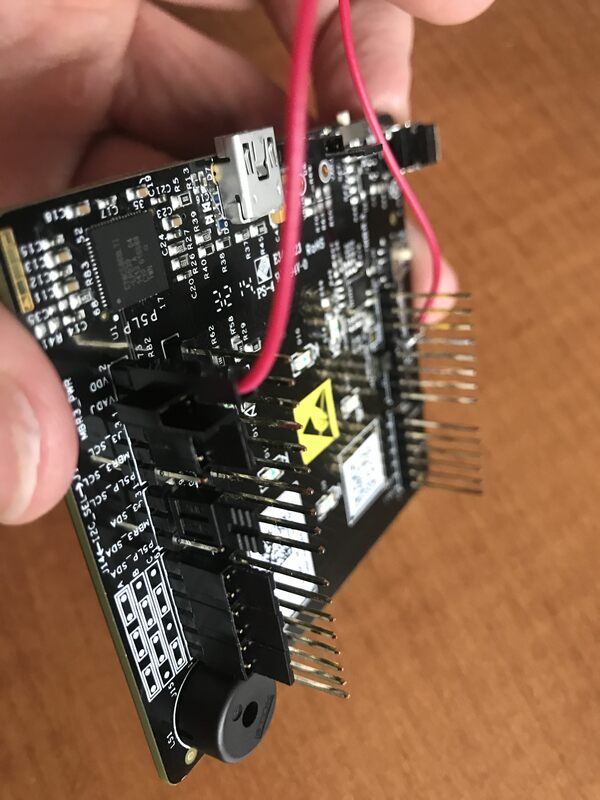 One problem that I had is that the power system of this board is setup to take 5V from the Arduino base board but the WICED development kit gives only 3.3v. 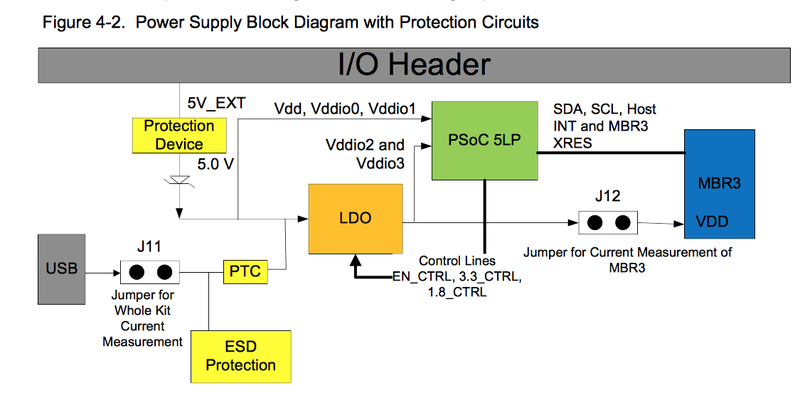 Here is a picture of the power system from the MBR3 schematic. 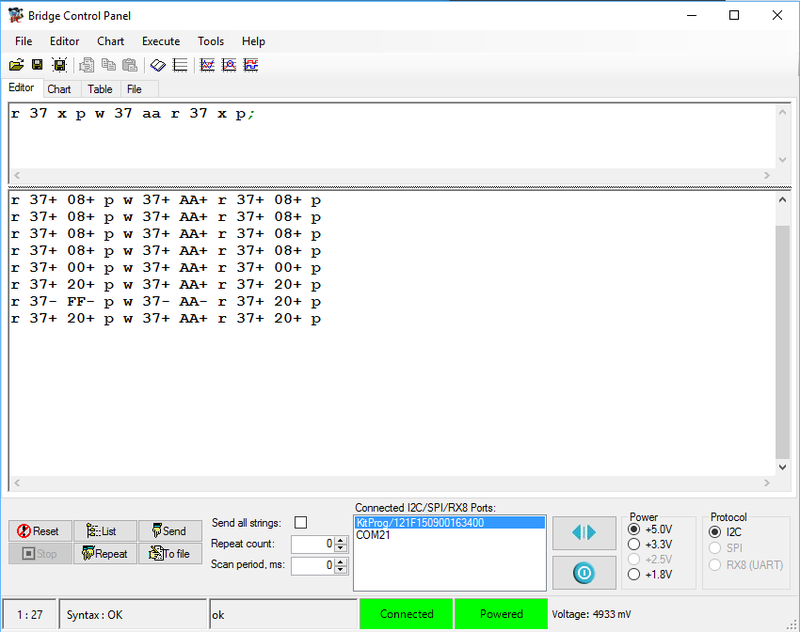 The last thing that I needed to do was move the jumpers to position “A” which made the host interrupt pin be connected to D2, and move the I2C jumpers so that the MBR3 was connected to the Arduino instead of the P5LP kitprog. You can see that in the J3_scl and J3_sda in the picture above. 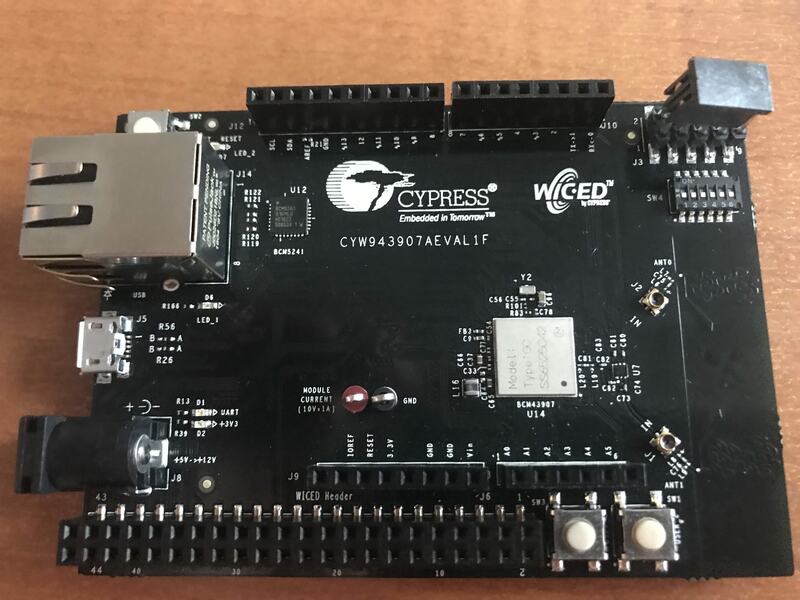 The CYW934907AEVAL1F is an development kit for the Cypress 43907 MCU+WiFi module. 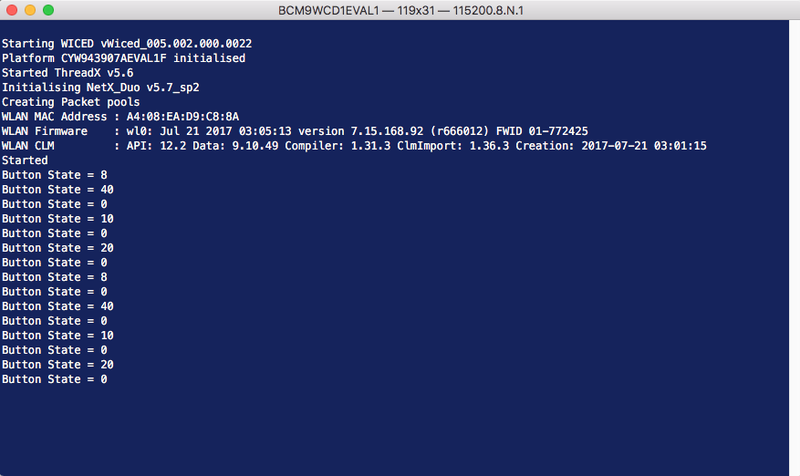 The WICED CYW943907 board can do dual band (2.4 and 5Ghz), 802.11 a/b/g/n, Ethernet and a whole bunch of other stuff. The only trick in the firmware is that I read the I2C with a “do” loop until I get a valid result, meaning that the MBR3 has woken up. // send the first command. Once that is programmed I program and test the firmware. 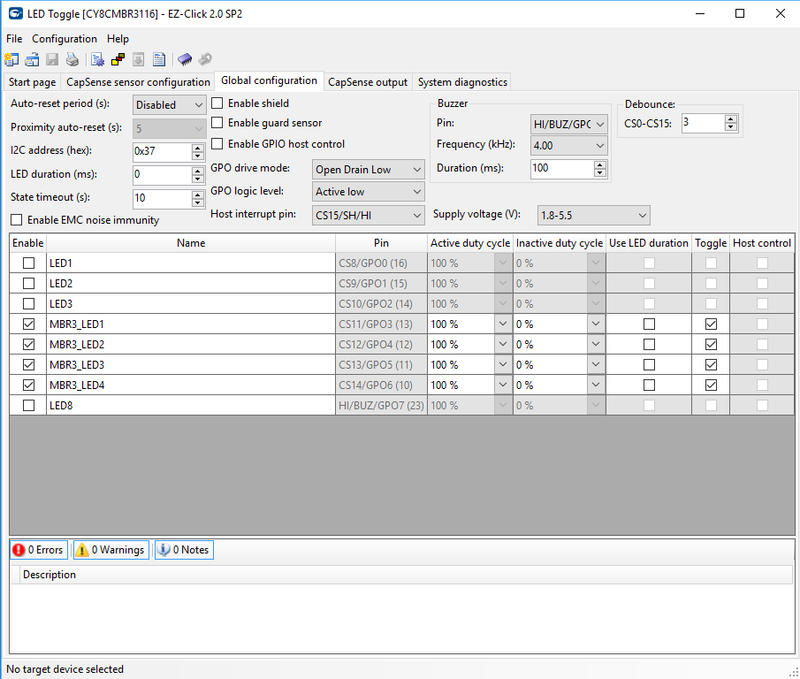 In the next article I will modify all of this firmware and make the WICED CYW943907 send data via HTTP to the Cloud.